Mindfulness groups have been proven to be beneficial for many different aspects of health. They can be particularly effective to help people manage depression, anxiety, chronic illness, pain and various kinds of stress, and may help with other conditions. A gentle 4-week introduction. Each session lasts 1 hour. No previous experience required. The more intensive MBCT groups run once a week for 9 weeks. Each MBCT group has up to 12 participants and is led by two co-leaders who are CHA providers. Each week you’ll get new mindfulness techniques and talk about experiences with the group. There is an optional full-day retreat. We’re the only site in the nation offering insurance reimbursable mindfulness groups.  The groups are billed to your insurance as group psychotherapy under behavioral health services through Cambridge Health Alliance. Depending on your health insurance, you may have a copay each week, or get billed later. The copays are usually $0-30, just as you’d pay for primary care visits. Please check with your insurance to confirm the amount using the billing code 90853. Last, we want to let you know that your decision to participate in the group or to not participate will NOT affect your care here at CHA.